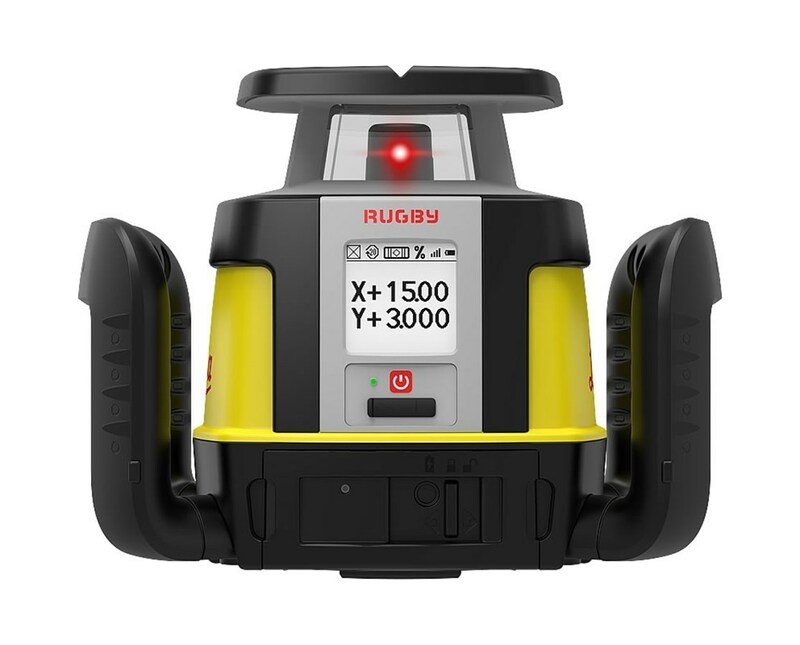 Great for slope work and site preparation, the Leica Rugby 870 Single Grade Laser features single grade capability and horizontal self-leveling. 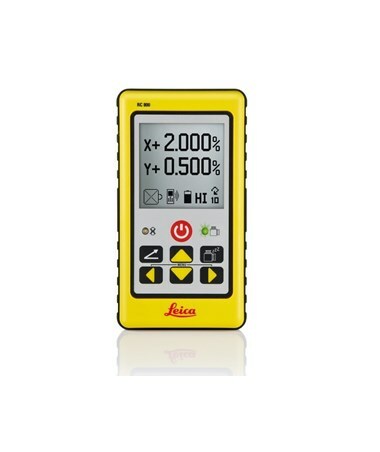 It has an accuracy of ±1/16-inch at 100 feet and a working range of up to 4,200 feet. 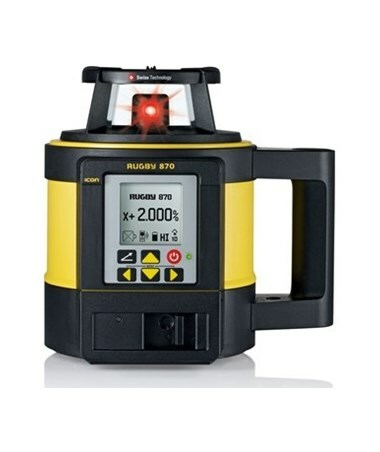 Self-leveling within ±6 degrees, this single grade laser also features a grade capability of ±15 percent. 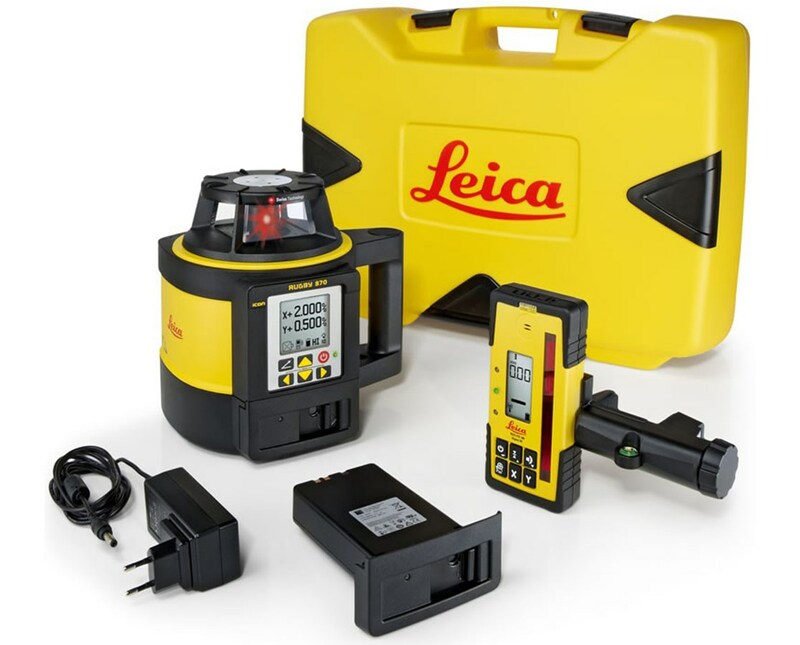 This fully-automatic grade laser features a Smart Lock and Targeting function that ensures the laser is on grade. 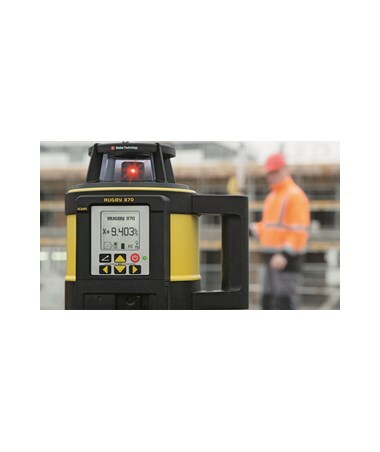 Also, it comes with an automatic calibration that allows construction professionals to calibrate the laser-on-the –spot without the need to bring it to a specialist. 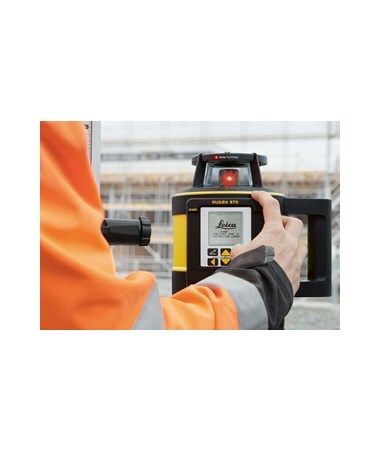 Plus, it comes with an adjustable rotation speed, integrated axis alignment and grade matching functions of this Leica rotary laser allows contractors to save time and increase productivity on the job site. 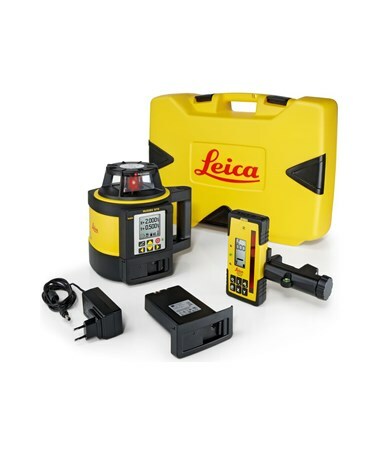 The Leica Rugby 870 Single Grade Laser has eight available packages with varying available accessories. Please choose from the drop-down menu above.